Google CEO Larry Page likes to talk about taking "big bets" into new areas like driverless cars and delivery services. An acquisition of Uber might be a gamble that could pay off for both companies. The companies are heading in some of the same directions. 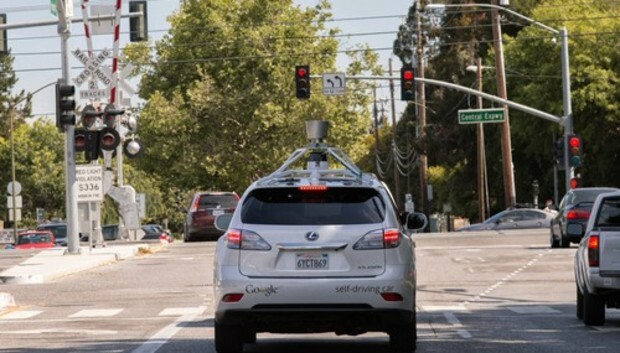 Both Uber and Google are now working on driverless car technology and transportation and delivery services. On Monday, Uber announced the creation of the "Uber Advanced Technologies Center" in Pittsburgh through a partnership with Carnegie Mellon University, which will focus on long-term technology in the areas of mapping, vehicle safety and "autonomy technology." There's no clear sign that Google is actually trying to buy Uber, which has been valued at more than US$40 billion. But it's already a major investor, having put at least $258 million into Uber, and it may have good reasons to go all the way to a buyout. Delivery is one business where the companies might be better off together, with Uber's transportation know-how and Google's consumer data. Both are just getting their feet wet in this area. Google has its same-day Shopping Express service, which uses cars to deliver items from select retailers, though currently only in a handful of cities including San Francisco, Chicago and Boston. It's also looking to use drones to deliver items from the sky, like packages for disaster relief, through its Project Wing initiative. Uber, meanwhile, began testing a cargo delivery service in Hong Kong last month, and has also tested fast food delivery in Los Angeles. Its UberRush courier service for package delivery is available in New York City. Increasingly, Google knows what people want and where they go, while Uber knows how to manage things that move around. "Google buying Uber makes a tremendous amount of sense as long as Google understands that it's not buying a ride hailing or ridesharing service, it's buying a new transportation platform," said James McQuivey, an industry analyst at Forrester who studies digital disruption among major consumer companies. "In some ways, Uber will never become the Uber it promises to be if it doesn't team up with a company that knows as much about you -- and has as much permission to offer solutions to you -- as Google does," he said. The companies may also be heading for a showdown on Uber's turf. Google is preparing to offer its own ride hailing service, according to a report in Bloomberg Business on Monday, though a subsequent Wall Street Journal report said the app was geared more toward internal employee carpooling. Google responded only in the form of a cryptic tweet that said, "We think you'll find Uber and Lyft work quite well. We use them all the time." If Google doesn't have its own ride hailing app in the works, Uber's own would be handy to have. But there are also good reasons for Google not to buy Uber. For one, Uber faces opposition on multiple fronts, from regulators, safety advocates and the taxi industry. Those are issues Google might not want to take on, though it would have more money and lobbying power to bring to the fight. And let's not forget how much Google would be biting off if it tried to buy the company. Even at its $40 billion valuation, with no premium, Uber would be a big acquisition for any company. But Facebook's acquisition of WhatsApp, which closed at $22 billion, shows how much some companies are willing to pay to expand their business and customer base. Uber may well fit into Google's big picture, which is to be the entry point through which people go about their day, whether it's with search, media, communications or entertainment. The company showed it wasn't afraid of tackling new areas when it entered the connected home last year by buying Nest for more than $3 billion. "Getting around is another one of those common things that people do that is stuck in analog technology, for the most part," said Brian Blau, an industry analyst at Gartner who studies consumer technology. Uber, he said, represents to Google another path away out of the analog world and into the digital realm where it thrives.